Article 31 of the Constitution as it stands specifically provides that no law providing for the compulsory acquisition or requisitioning of property which either fixes the amount of compensation or specifies the principles on which and the manner in which the compensation is to be determined and given shall be called in question in any court on the ground that the compensation provided by that law is not adequate. In the Bank Nationalization case [1970, 3 S.C.R. 530), the Supreme Court has held that the Constitution guarantees right to compensation, that is, the equivalent in money of the property compulsorily acquired. Thus in effect the adequacy of compensation and the relevancy of the principles laid down by the Legislature for determining the amount of compensation have virtuality become justiciable inasmuch as the Court can go into the question whether the amount paid to the owner of the property is what may be regarded reasonably as compensation for loss of property. In the same case, the Court has also held that a law which seeks to acquire or requisition property for a public purpose should also satisfy the requirements of article 19 (1) (f). 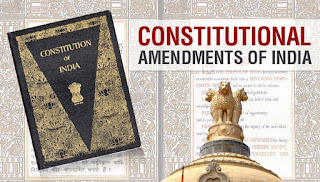 The Bill seeks to surmount the difficulties placed in the way of giving effect to the Directive Principles of State Policy by the aforesaid interpretation. The word "compensation" is sought to be omitted from article 31(2) and replaced by the word "amount". It is being clarified that the said amount may be given otherwise than in cash. It is also proposed to provide that article 19(1)(f) shall not apply to any law relating to the acquisition or requisitioning of property for a public purpose. 3. The Bill further seeks to introduce a new article 31C which provides that if any law is passed to give effect to the Directive Principles contained in clauses (b) and (c) of article 39 and contains a declaration to that effect, such law shall not be deemed to be void on the ground that it takes away or abridges any of the rights contained in article 14, 19 or 31 and shall not be questioned on the ground that it does not give effect to those principles. For this provision to apply in the case of laws made by State Legislatures, it is necessary that the relevant Bill should be reserved for the consideration of the President and receive his assent. 1. 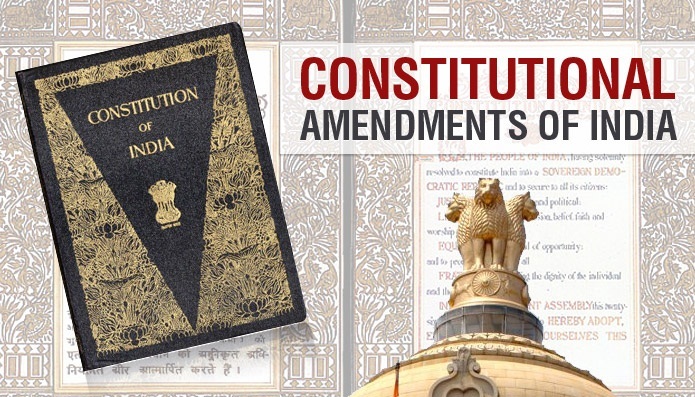 Short title.-This Act may be called the Constitution (Twenty-fifth Amendment) Act, 1971. "(2B) Nothing in sub-clause (f) of clause (1) of article 19 shall affect any such law as is referred to in clause (2).". Provided that where such law is made by the Legislature of a State, the provisions of this article shall not apply thereto unless such law, having been reserved for the consideration of the President, has received his assent. ".